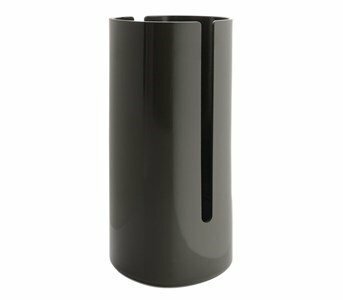 Birillo paper roll holder - the perfect complement. Simple, discreet and providential! Always when you need it. With a capacity for 3 paper rolls, tidied up with discretion, for when they are needed. It complements the rest of the decoration, together with the rest of this collection's objects, leaving your bathroom perfect and tidied. The way the simple outlines and the materials used are bonded, is this collections major feature. Made of PMMA with a white or black shiny finish.